Since 2004 HockeyProspect.com has produced OHL Draft Rankings lists for the Ontario Hockey League’s Priority Selection.Our first OHL Draft Rankings are typically released in December. 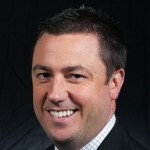 HockeyProspect.com has built up credibility over the years with the quality of both our NHL and OHL Draft coverage. Several teams consult with us throughout the season regarding draft prospects and players currently playing in the Ontario Hockey League. Our draft products are purchased by numerous teams.